Julie's retired food blog that captures adventures in eating, cooking, and mastering the art of food photography. To see more recent stuff, head to In A Half Shell and Instagram. This is probably my most savory and delicious feat yet! I wanted to make crispy fried chicken at first, but realized that I didn’t have a deep fryer. So the next best alternative was to try this Japanese Chicken Wings recipe that I found on AllRecipes.com. Just so you that everyone knows, pan frying is MESSY. I would recommend getting a splatter guard for the pan if you decide to attempt this. The sauce also requires a lot of sugar, which I am willing to bet will taste just as good if the quantity of sugar is reduced. 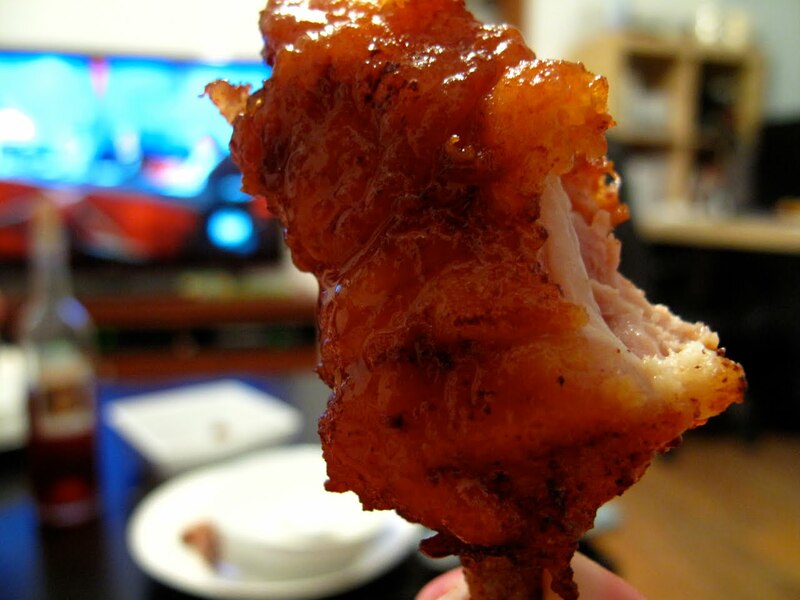 While the original recipe called for wings, I substituted with drumsticks and thigh to make it more meaty. Bring it to a party and I am almost certain that they will be a hit. 1. Preheat oven to 350º F. Chop drumsticks into three smaller pieces. Dip each piece in egg and coat with flour. 2. Heat butter in a large, deep skillet over medium-high heat. 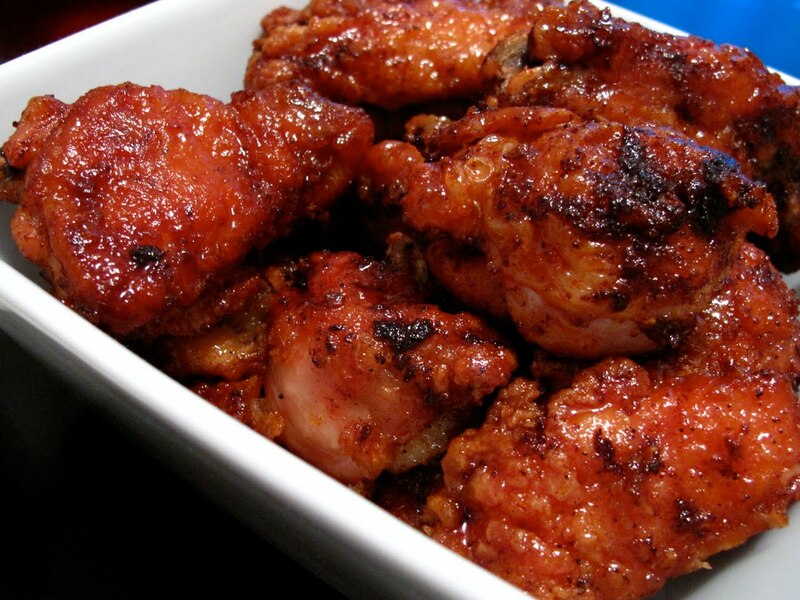 Fry chicken until deep brown. Place in a shallow roasting pan. 3. In a small bowl combine soy sauce, water, sugar, vinegar, garlic powder and salt. Pour 1/3rd over the chicken. 4. Bake in preheated oven for 30 to 45 minutes, basting wings with remaining sauce often (suggested 7 times every 6 minutes).